At Luck’s Yard feel fortunate to be able to do what we do and we also have a strong belief in community work and in education as well as giving back. We therefore spend a lot of time going out locally doing talks and presentations as well as working for local charities. 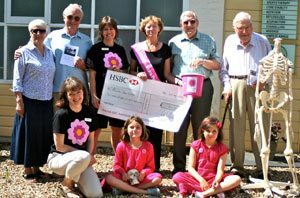 2010: 3rd Anniversary, supporting Alexandra Rose (Farnham Almshouses, Skill way and Age Concern), £300.